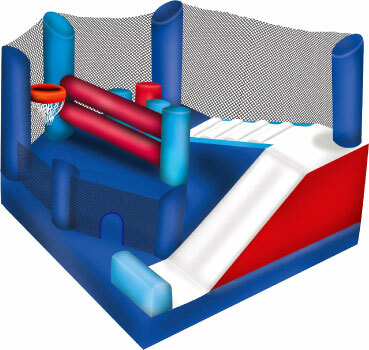 The Frozen Combo encompasses strength, power and courage in this energetic 5-in-1 combo inflatable jumper. With five activities from which to choose, kids can practice their superhero skills alongside their favorite characters from the Disney hit movie Frozen. 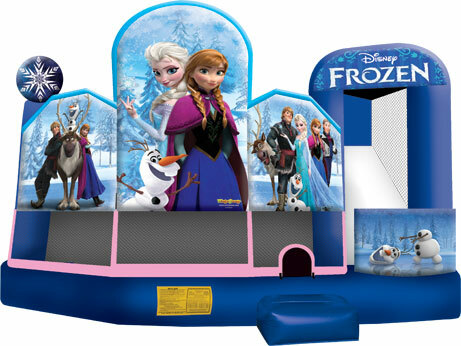 This impressive Frozen 5-in-1 combo inflatable jumper offers colorful artwork at every turn, and is sure to draw quite a crowd. The 5-in-1 combo style jumper is the best in inflatable bounce houses! 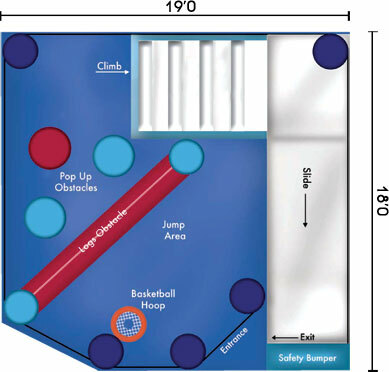 The spacious interior jumping area offers a basketball hoop and both log and pop-up obstacles. 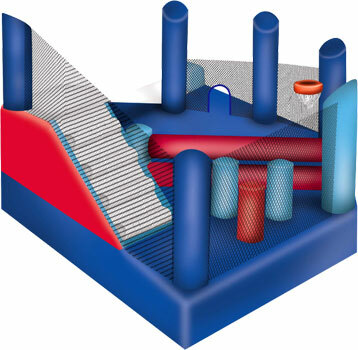 This bouncy castle has an exciting climb feature and a convenient exit slide for hours of active fun! Parents and spectators are offered easy viewing with the 360-degree mesh sides of this moonwalk.